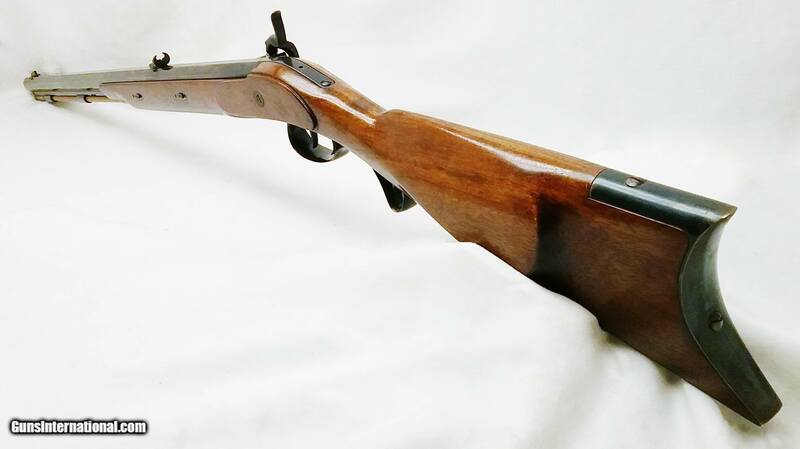 This .54 caliber Great Plains - Percussion rifle has a blued octagon 15/16" x 33" barrel with 1:60 twist and a factory adjustable rear sight and a blued steel blade front sight. The bore is good. 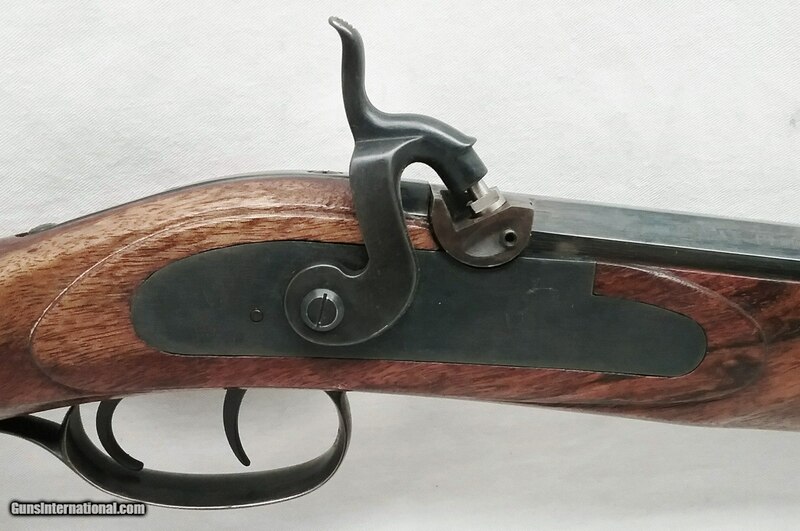 The P grade European Walnut stock is mounted with blued steel furniture. The factory color case hardened percussion lock is activated by double set triggers. Length of pull is 14", overall length is 49", weight is 9.2 lbs. Please Note: This is a kit that was assembled by a previous owner. Factory wood to metal fit - made by Lyman. Condition: Good. Our stock number is P-30-5. Will ship anywhere in the United States. Buyer pays freight and insurance.